Installing the Retargeting tracking script enables you to track, through SendinBlue, all of the pages visited by your website visitors. Visitors who complete specific actions, such as visiting a specific page or performing a custom event, can be added to your Retargeting campaign's audience and shown your campaign. Once the plugin has been installed, you can activate the Automation script by clicking on the "Activate Marketing Automation through SendinBlue" in the plugin settings. You will find more information in the tutorials for installing the plugins. And that's it, you've now installed the tracking script on your website through Google Tag Manager. 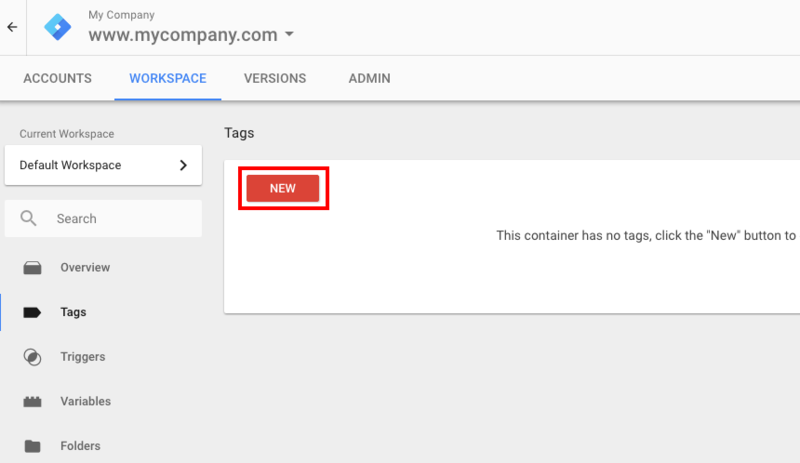 If you don't have a WordPress or Prestashop website, or a tag integration solution such as Google Tag Manager, you can manually install the script onto your website. We strongly advise you to ask your web developer to install the script, which should only take a few minutes. To do this you need to insert the script into your website. Like with Google Analytics, you have to add your script in the "header" file (e.g. header.php). Insert the script between the <head> and </head> tags. It's best to install your script just before the </head> closing tag to avoid pasting within another tag. If you don't have a </head> tag, you can add the script just before the <body> tag. Once the script has been added, check that it works properly by looking at the uploaded data in the Event logs on SendinBlue. Visit your website to generate some activity, then check to see if "page" data has been uploaded in the event logs.